This charger is currently $84 on the official amazon store. This is a very capable charger, and the accessory features are neat. It lacked a thing or two that made it unusual enough to be a little frustrating, and I couldn’t really ‘get’ the UI, but it’s great at charging cell. This unit ships in a large, highly printed white box. Inside the box is another package – a nylon bag, which holds the charger and all the accessories. There are even slots for holding the items securely. The pouch itself is flimsy but doesn’t look suspect. I think it’ll be good for the limited amount I’ll travel with this charger. 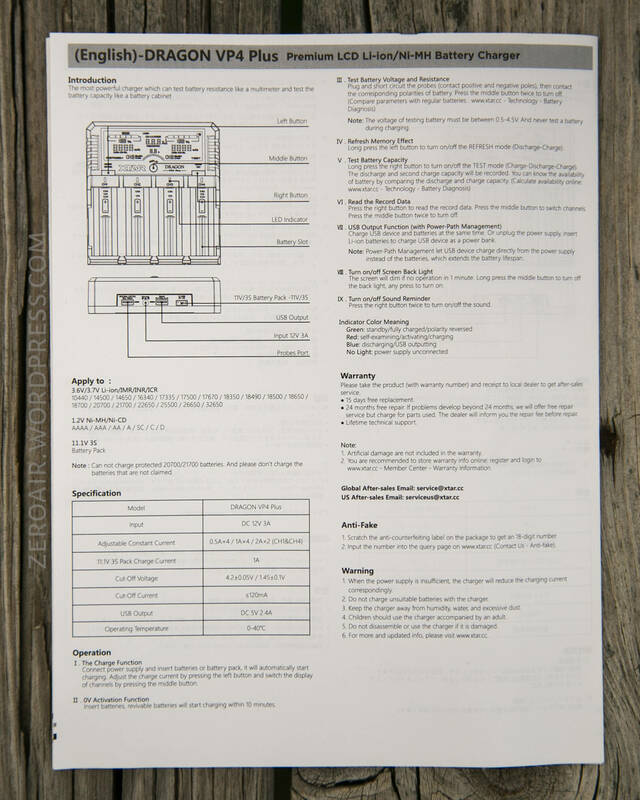 The manual is absolutely necessary, and fortunately just one page (other pages are other languages, 10 total). The manual briefly but fully explains all the available settings. This is a sturdy charger. It’s quite large; all the bays will fit 26650 sized cells concurrently. The display is also quite large. The plastic is nice and thick, and does not feel cheap. In fact the charger as a whole doesn’t feel cheap (as chargers sometimes do). There’s no hollow sound from inside when moving the device around. These cooling fins on the sides really are just barely cooling fins – they are open, but the opening around 1mm. Not much as far as cooling goes. The bays are labeled. There are three buttons too, all labeled. Officially 158x147x40mm, and weighing in at 345g. Again, it’s not really a small charger. This will help with visualizing the bay size. Leftmost is a flat top unprotected 26650. Then an unprotected flat top 18650. Then a unprotected button top 18650. Finally an AA sized NiMH cell. The 26650 just barely sicks up over the case! 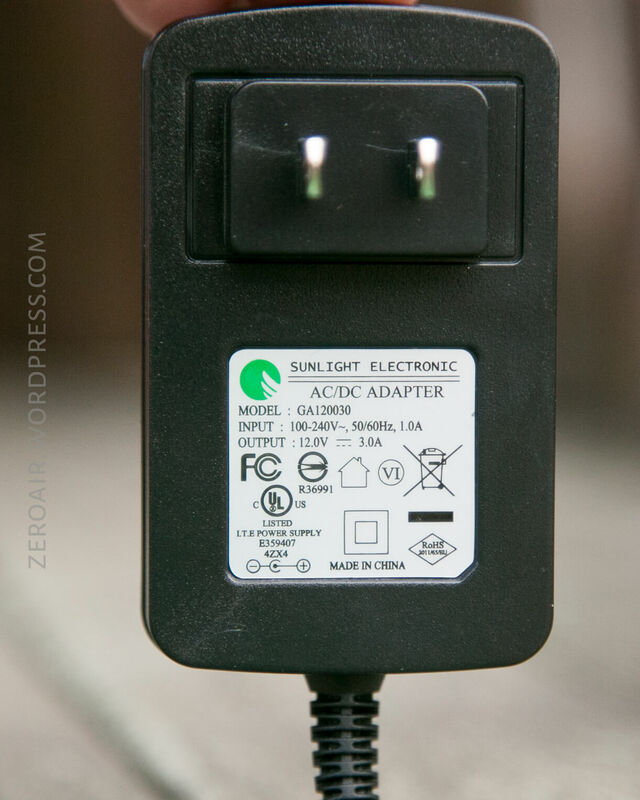 The charger requires 12V power from a barrel plug. 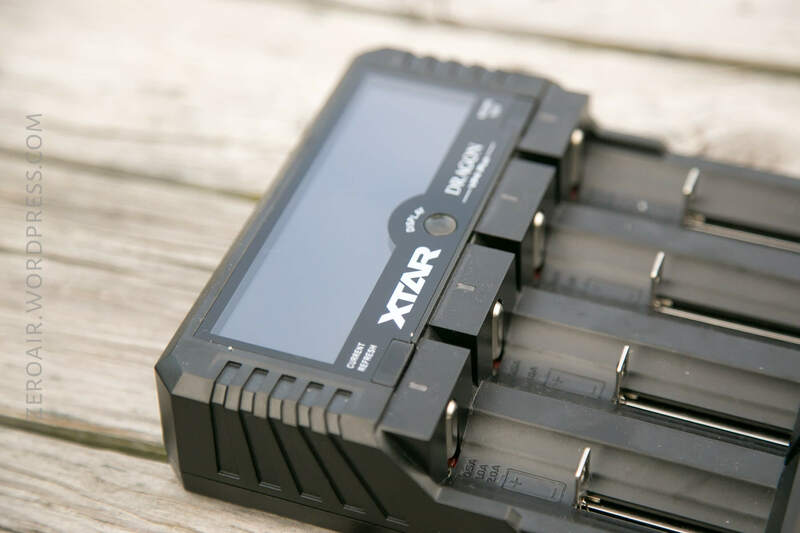 XTAR includes a wall wart, which is 12V and 3A, and also a 12V car adapter for connecting to a cigarette lighter. 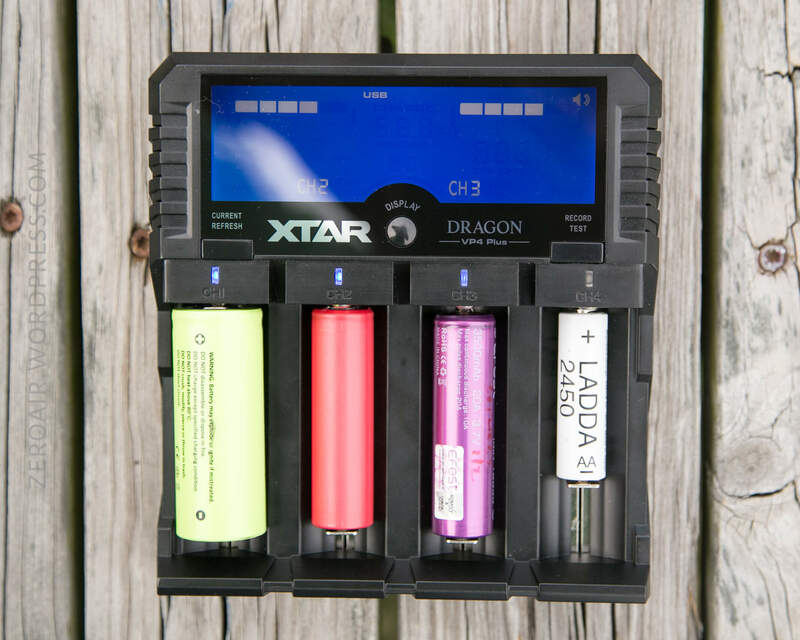 The back also delineates all the cell types that this device will charge. There are a bunch of things here. Of course Li-Ion is there. 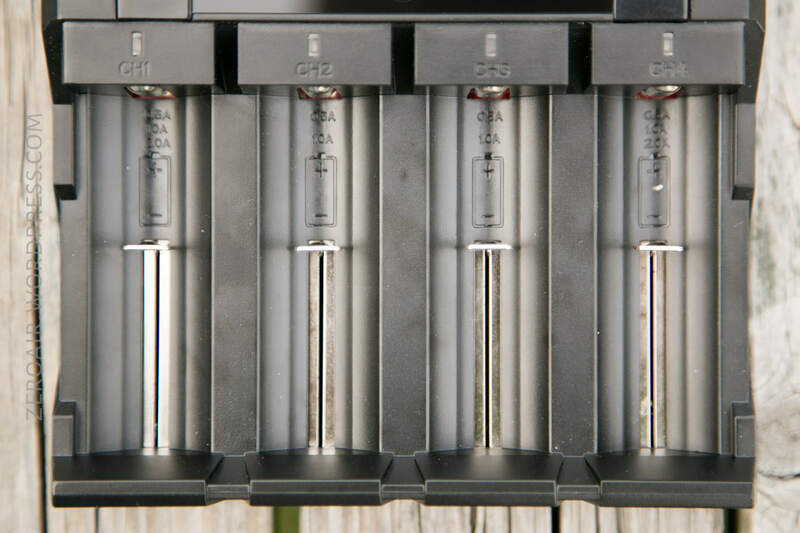 But it’ll also charge various NiMH cells too, all the way from AAAA to D sizes. I tested a couple of currents on the 18650 size. Charging at 1A looks pretty good. Charging at 2A does in fact hit 2A, but in my test, only briefly. I think this is ok; likely due to the cell I was using or something like that. I also tested USB output, when the unit is connected to wall power. This thing will churn out over 3A before shutting off. It’ll sustan over 2.5A with a voltage drop to just under 4.8V. That’s pretty solid output! 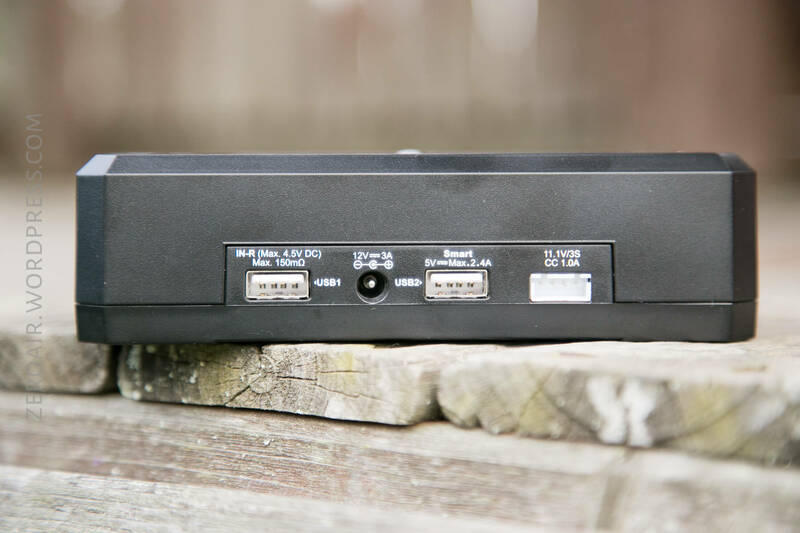 It’s also possible to use this as a powerbank – no wall power but having cells in the bays (even one cell), will make USB out function. Output here is good too (but not graphed). I pulled over 2.5A from a single 18650, and voltage stayed within spec for USB. So that’s good, too. Note that only one of the USB ports may be used for charging. The “other” is strictly for connecting the probes. 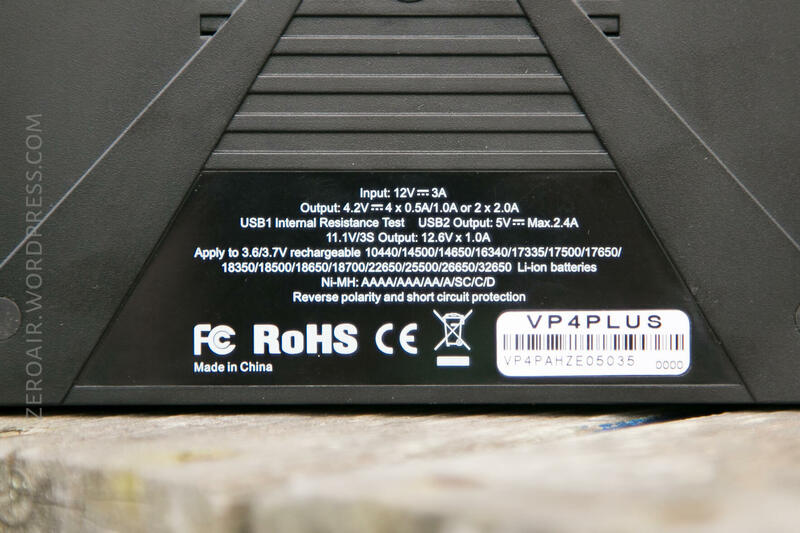 There are only three buttons on the VP4. They’re all quite clicky, and are labeled well. On the left is the “Current Refresh” button. Center is the “Display” button. Rightmost is the “Record Test” button. First of all, to use this charger you actually don’t have to do anything. Just drop in some cells and they’ll start charging. Default charge speed for 18650 seems to be 1A. The display can only show two cells at a time. It will show Bay 1 and Bay 4 together, and Bay 2 and Bay 3 together. To switch between the bays, click the Display button (this wasn’t intuitive to me, as with many of the things on this charger). Long pressing the right button will invoke a similar mode: the Test Battery Capacity mode. This is a Charge > Discharge > Charge cycle. Xtar provides a website for utilizing this data, though if I’m honest, the data it provides (a percentage) is something you should be able to calculate yourself. Let me just say that the are bright LEDs. Much too bright in my opinion. The screen backlight can be dimmed (Long press the display button). It’ll also dim automatically after a minute (but long press actually turns it off). But these LEDs… these leds can’t be adjusted, and are just too bright. Some of the options above aren’t strictly “bay” options. Option 3 for example, regards use of these probes, which connect to the USB port labeled “IN-R.” Just connecting them isn’t enough – to activate them, you’ll need to touch them together. It’s important to note that these are good for testing only up to 4.5V. They will test voltage and cell internal resistance. They’re neat but…. Most chargers which can test IR and V do this within any of the bays, and display this information through out the charge. So what is added here is basically the ability to test a fifth+ cell, when all the bays are full. 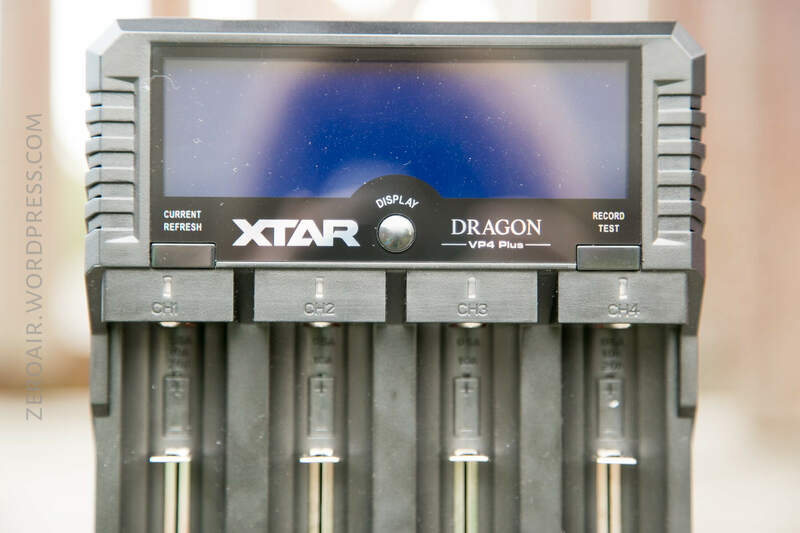 Not that the bays display voltage on their own…. So it’s a bit of a confusing addition, particularly since they can’t be used over 4.5V. 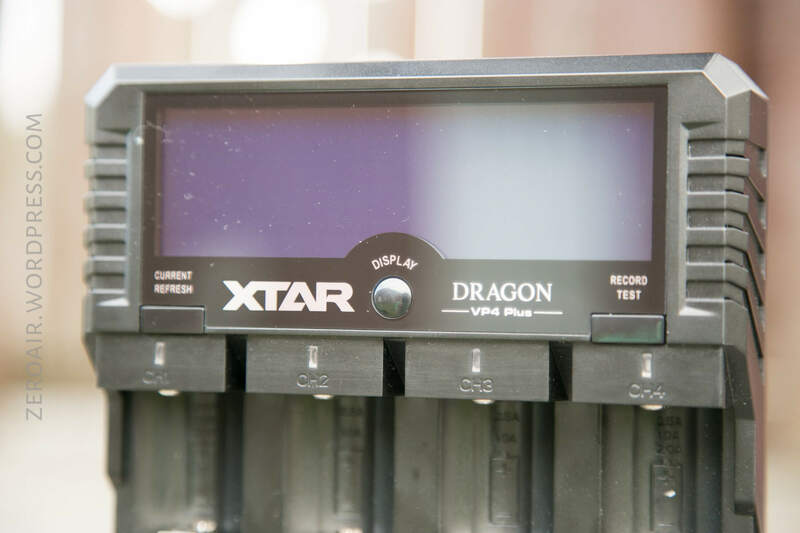 The charger can handle over 5V, since it’s got the 11.1V balance plug…. but these are only good for 4.5V. Also the internal resistance measurement is a bit suspect. For one cell, tested a few times repeatedly, I was seeing 30, 33, 43, etc. That’s fairly big differences across the board with those readings, which means that I’d never take them as more of a guideline than firm fact. I’ll give these probes a “they’re neat” but that’s all. I don’t find them useful. They are well made, though. The “Power-Path management” just means that the charger will favor wall power (passthrough) instead of cell power when the USB-out is being used. Actual 2A output on two bays. Good output across all bays at 1A. The probes are very neat. I really like neat stuff. The analyzing capability is good, and recording data makes it fairly smart. 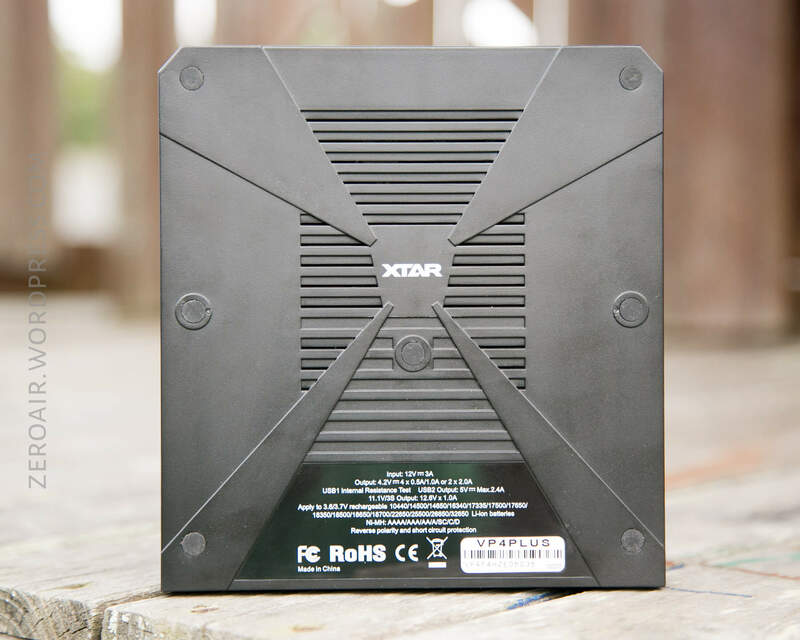 Bright and vivid display, which can easily be turned fully off. I can not get the UI down on this thing. I always end up in the “Test Results” mode and just can never remember how to get out. Recorded data is useless without a notebook mentioning which record goes with what cells. Probes can’t be used over 4.5V. Green LEDs for each bay are too bright. I like that there’s a 3s balance charging port on the back of this charger, but I’m not sure how useful it is. 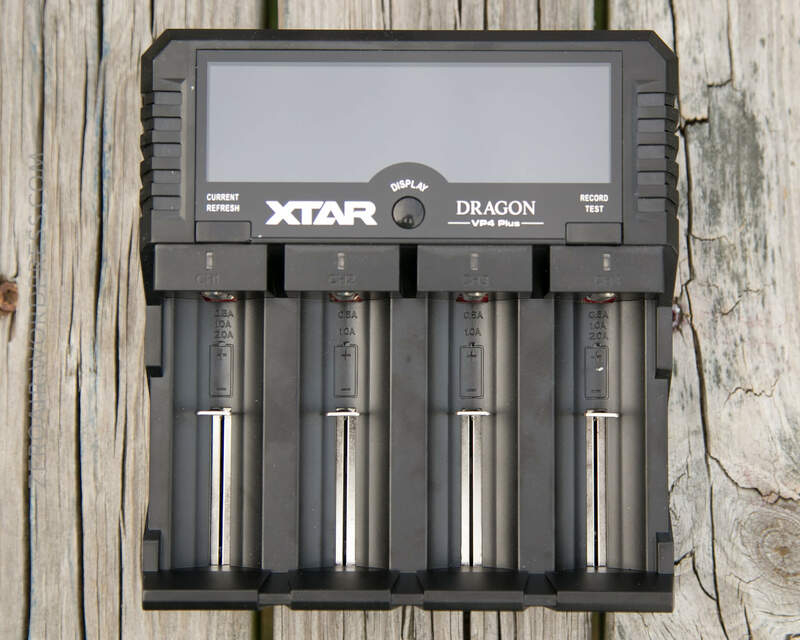 If you happen to often need to charge this type pack, then it’ll be perfect. One of my complaints about the SkyRC MC3000 was that it didn’t have a port like this, and now this one has it and I still can’t be satisfied. It’s a neat addition in any case. Tomorrow I hope to have a bit of a special light completed for review. Stay tuned! 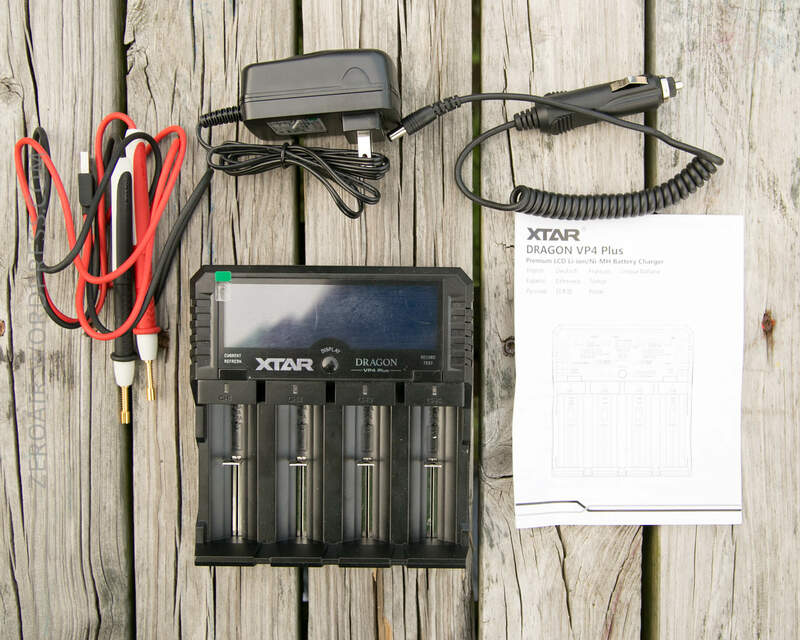 If you want to read an extremely thorough, next level review of this charger, please visit lygte-info.dk! !